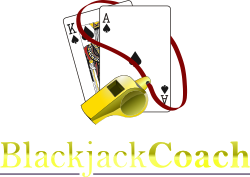 Blackjack Coach trains you in basic Blackjack strategy. By using what you learn here, you will have the highest probability of success in a real casino. If you enjoy Blackjack Coach, please rate it on Google Play. Blackjack Star lets you play one of the most popular casino games in Las Vegas right in the palm of your hand. Play for fun or to keep your skills up to date between trips to the casino! If you enjoy Blackjack Star, please rate it on Google Play.